When you take a closer look at this backpack vac, you'll see that never before have so many advanced features been incorporated into such a compact design. 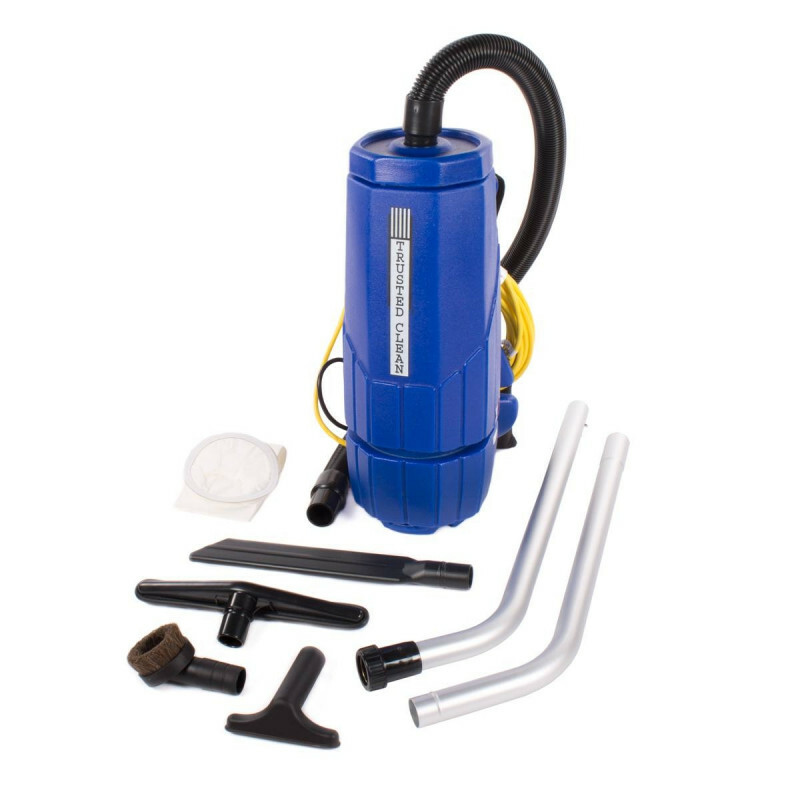 The Trusted Clean 6 quart backpack vacuum gives you the technical edge! This vacuum delivers the latest advances in vacuum design technology to give you the clear cut advantage. The decision has never been easier on which model gives you the most for your money. Trusted Clean has a commitment to maximizing airflow efficiency and performance. The ongoing years of research and development have finally culminated in this superior model. All vacuums test to their optimum performance when new. The true test of performance comes as debris fills the vacuum bag. In older tubular backpack designs, the bag bulges and stretches when it fills, contacting the side wall and top of the motor, severely reducing the airflow. The new 6 qt. backpack has 3/4" per side increase in diameter and a new bag support increases air flow and reduces motor heat. 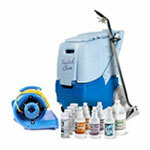 Trusted Clean clearly takes the technological edge in vacuum design and efficiency! If you're looking for a slightly larger model, please make sure to check out the 10 quart Trusted Clean backpack vacuum. Both of these models, plus many more can be found in our backpack vacuums department. Deflector plate holds the heavy debris away from the motor filter during use, increasing air flow. We tapered the vacuum-body 3/4" per side to allow air-flow around a bulging full bag. 70 inches of sound deadening waffle foam makes it the quietest vacuum in its category. A full tool kit & industry leading warranty guarantee years of extended use & reliability.